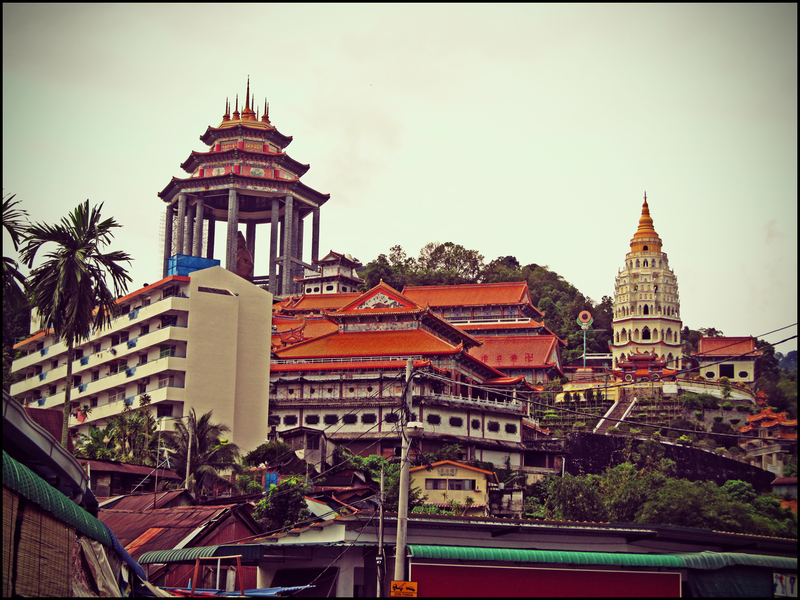 One of the few iconic places in Penang is the hilltop temple known as Kek Lok Si, which means “Heavenly Temple” or “Temple of Supreme Bliss”. 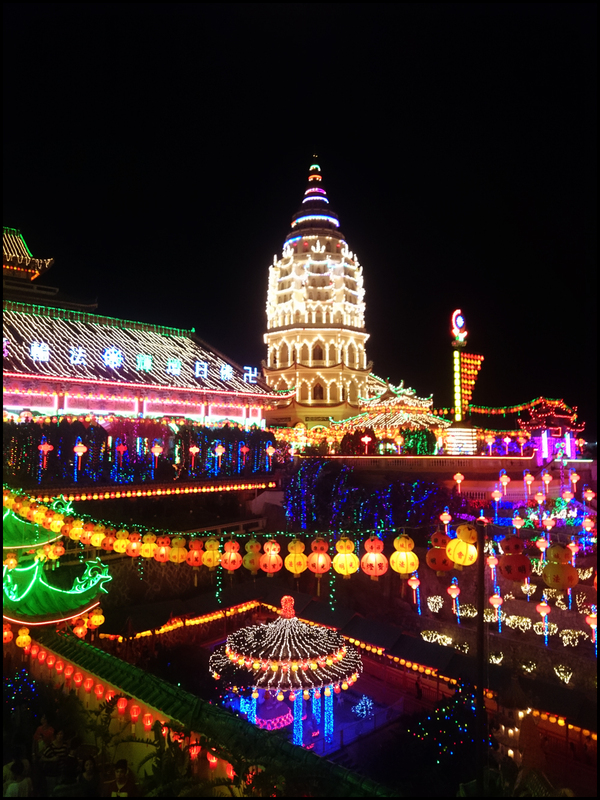 During Chinese New Year, the Kek Lok Si temple complex in Penang will be brightened with lanterns and decorative lighting for almost a month, making it a dazzling spectacle at night. 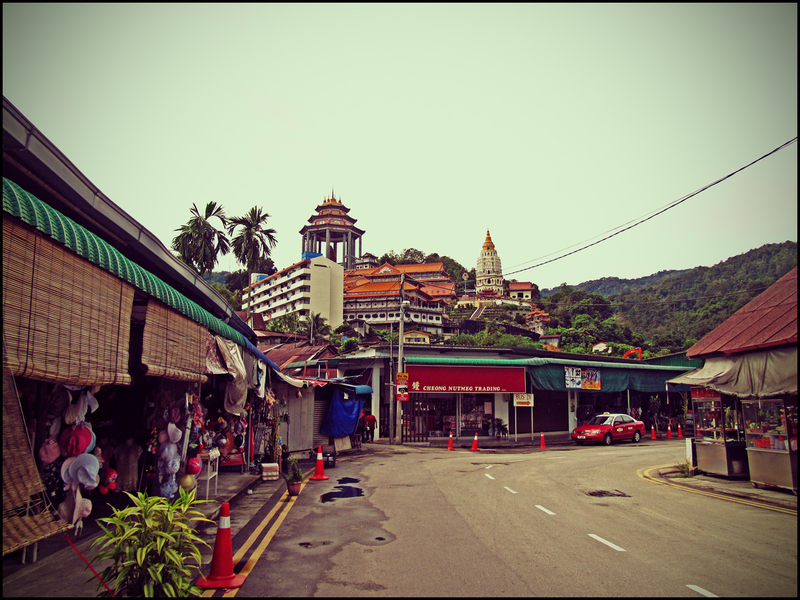 A view of the famous Kek Lok Si temple from Ayer Itam town. 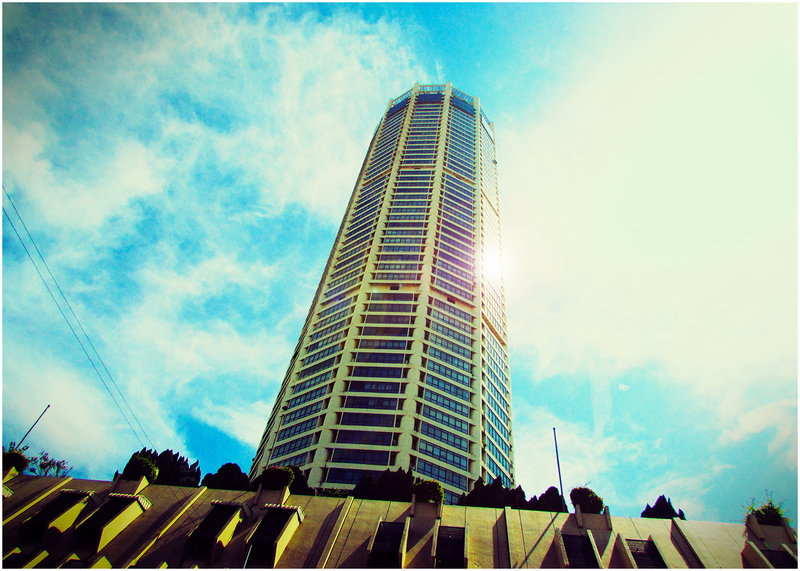 Standing tall since its completion in 1986, the KOMTAR tower serves as the tallest landmark for Penang. 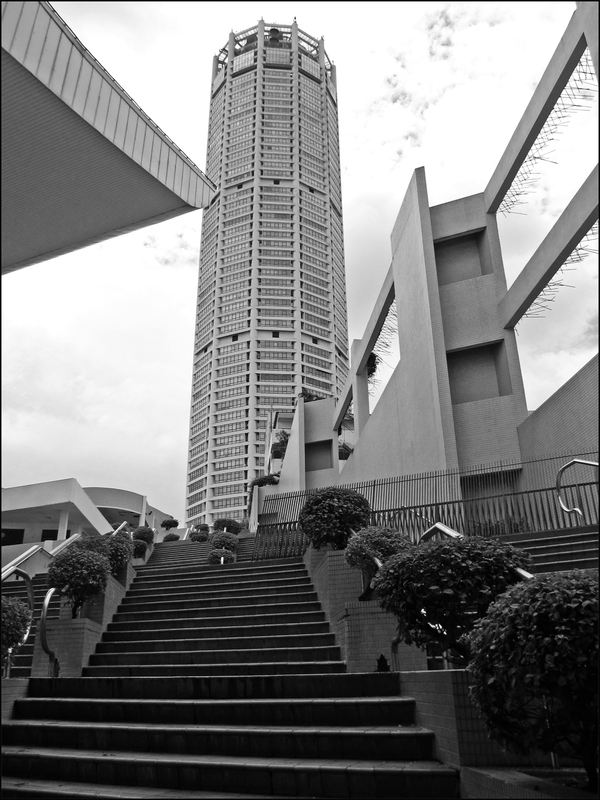 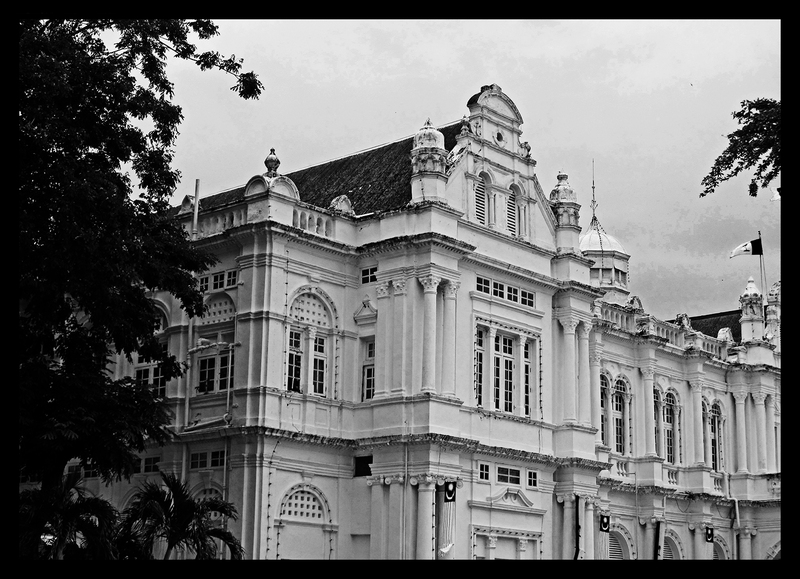 Despite that, KOMTAR has been slowly losing its iconic status as many more modern developments are taking place all around the island. 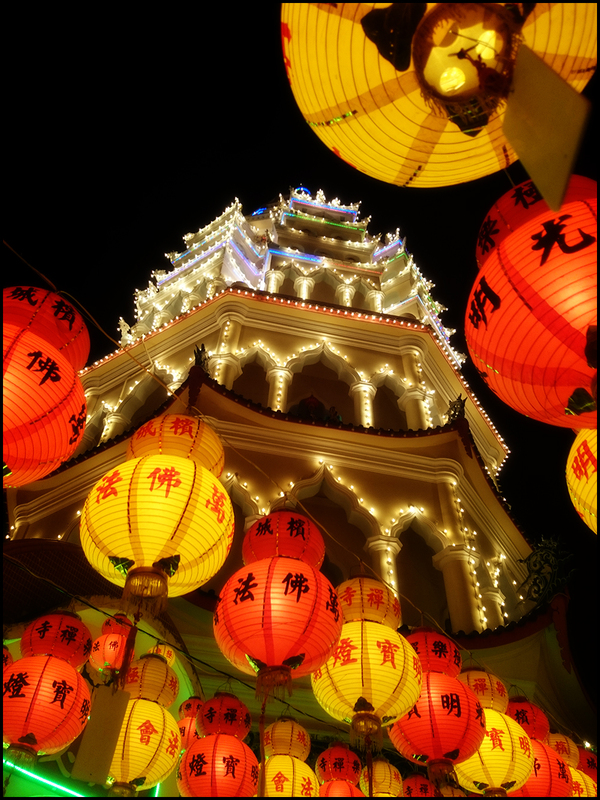 The pagoda at the Kek Lok Si temple complex lit up with lanterns during the Chinese New Year nights.